Ezmie Trevarrow (drums), Eden Pierce (keys, vocals, drums), Emily Sangder (vocals, guitar, bass), Brianna Powers (bass, guitar) Photo by Athena Ortmann. Formed in 2009, The Sub Pilots have already rocked audiences at Saturday Market, Lane Community College, and the Kidsrock showcase stage in downtown Eugene with selections from the Beatles to the Ramones to the Talking Heads, as well as many other groups both modern and classic. 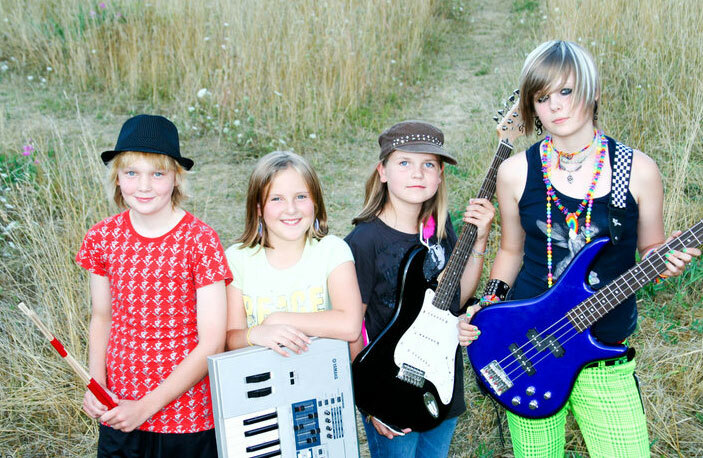 Ages 10 to 16, their musical confidence and their colorful personality combine to make them one of the groups to watch in coming years, and their ability to switch instruments at will adds an unpredictability rarely seen in local youth bands.